The UEFA Champions League tournament for 2018 is well and truly at business end. The second leg semi-finals games are being held next week to decide the finalists. Real Madrid (surprise, surprise) look like the’ll be there unless Bayern can pull off some away from home magic. Liverpool may be joining them, if they can hold off Roma in Rome. The final will be held in Kiev, Ukraine on May 26th. If you want to be there you have a few options. Regular tickets, via regular channels (ie from UEFA) are sold out but corporate ticket packages are still available, starting at €3.200 per person. You can also try your luck with the online scalpers. 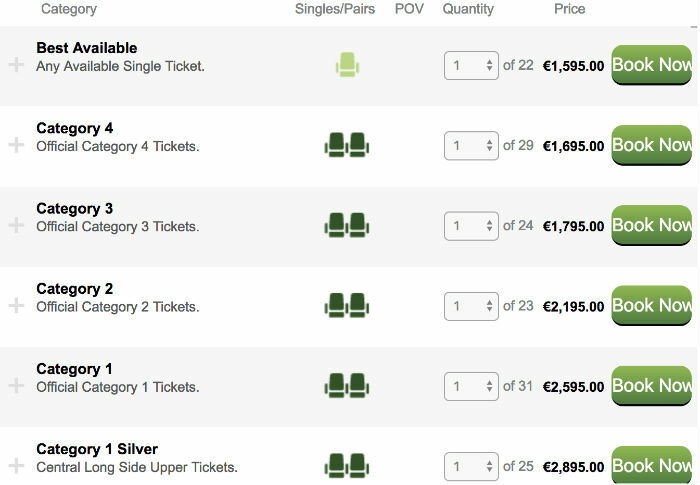 Tickets on the secondary market are currently ranging from around €1.500 to €3.000 depending on where you look. Of course those of you who really like to fly by seat of your pants can just just turn up in Kiev, keep your ears to the ground and see if you can snag a bargain from a scalper on the day. Then there’s this option, which just popped up today thanks to William Hill. At the end of next week, William Hill are giving away a Champions League Final ticket package – 2 tickets to the game, plus return flights (ex London) and accommodation in Kiev. To be in with a chance to win the tickets, all you need to do is play their Mayfair, Macau and Vegas branded tables over the next week. Every £€$ 10 wagered gets you an entry in a random prize draw for the tickets. Just make sure you opt in to the promo (on their promo page for your nets to earn entries. Good luck, to you and Liverpool.